The Basque country is a wonderful area for mountain walking, with summits and corresponding views accessible to the ordinary walker, unlike in the high Pyrenees. It is a great area to walk in all year round. 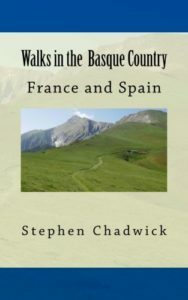 This web site accompanies the guidebook ‘Walks in the Basque Country‘ by Stephen Chadwick. 25 walks are described in the book.